In the last years, a great number of digital library and digital repository systems have been developed by individual organizations, mostly universities, and given to the public as open-source software. The advantage of having many choices becomes a great headache when selecting a digital library (DL) system for a specific organization. To make the decision easier, five well-known and extensively used systems that are publicly available using an open source license are compared, namely DSpace, Fedora, Greenstone, Keystone, and EPrints. Each of them have been thoroughly studied based on basic characteristics and system features emphasizing multiple and heterogeneous digital collection support. Results are summarized in a score table. Cases for which each of these systems is considered as the most suitable are proposed. Each of these systems has been thoroughly studied based on basic characteristics and system features described in the following sections. The latest versions of those systems were examined. When writing this chapter, the versions provided were: DSpace 1.4, Fedora 2.2, Greenstone 3, Keystone 1.5, and EPrints 3. The DL systems are compared based on stated characteristics and the level of support on each of them. In the following section, the characteristics needed by a modern DL system are discussed. In the third section the five DL systems are compared based on each of the DL characteristics and the results are summarized in a score table. Finally, in the fourth section, the results of this comparison are commented on and cases for which each of these systems is suitable are proposed. Interoperability Features: Standards that the DL systems support in order to ensure interoperability with other systems. 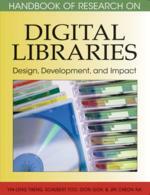 Open Source DL: A digital library software platform based on open source technology. Fedora: Open source DL platform jointly developed by Cornell University and the University of Virginia Library (educational community license). Object Model: The internal structure of the digital object (i.e., entity that integrates metadata and digital content) in the DL system. EPrints: Open source DL platform developed by the University of Southampton. Greenstone: Open source DL platform produced by the University of Waikato (GNU general public license). Object Management: Methods and user interfaces provided from the DL system to manipulate metadata and digital content. Keystone: Open source DL platform developed by Index Data (GNU general public license). Level of Customization: Customization of the DL system in collection level, the format of the digital objects, and the services provided. DSpace: Open source DL platform developed by the MIT libraries and Hewlett-Packard Labs (BSD open source license).